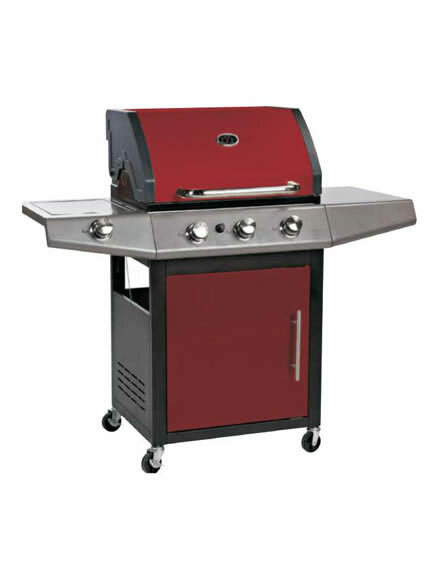 Outdoor four burners BBQ gas grill is smokeless stove. 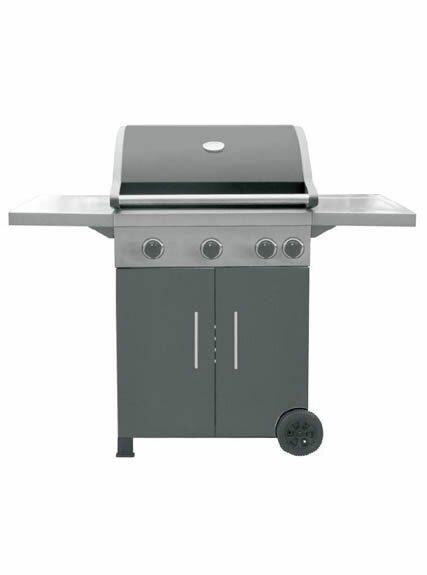 It is of high-tech and environment friendly (use bottled gas), and with no hazardous gas charcoal grey or lampblack. It has unique structure and fine process. Outer case adopts stainless steel laser cutting. 1. 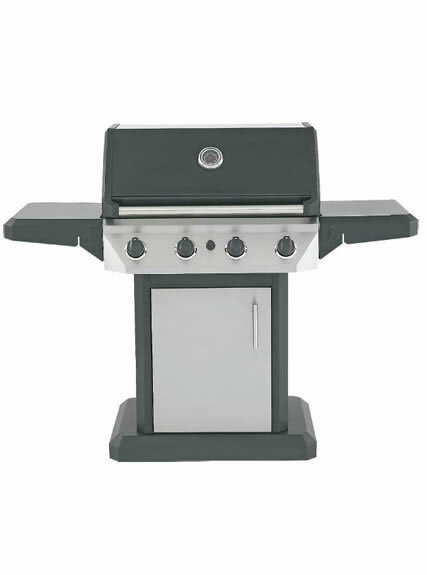 With bright porcelain enamel, outdoor four burners BBQ gas grill has abundant features and storage space to make it an ideal summer cooking companion. 2. 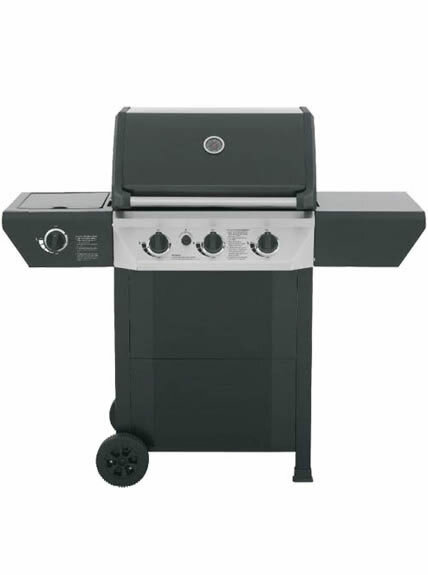 The cast iron burners can be independently controlled when cooking and grilling. 3. The rust-proof and weather-proof porcelain enamel cooking hood is fitted with a built-in thermometer for perfect results. 1. 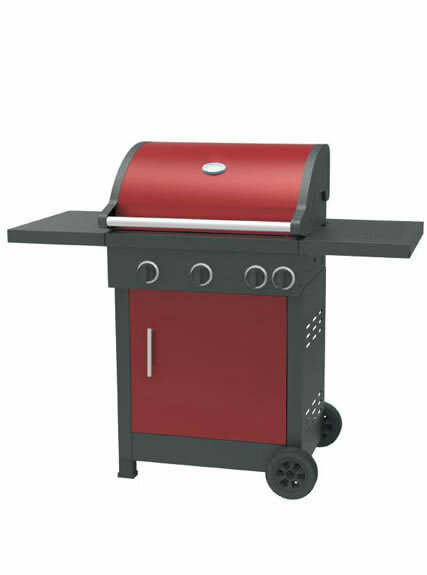 Outdoor four burners BBQ gas grill shall be used at places with good ventilation, and 10cm away from the incombustible material. Range hood can be equipped above it. 2. It shall adopt special gas hose to connect the bottle gas. Low pressure valve shall be used instead of high and medium valve for the bottled gas. Ensure safe usage and prevent damage to burners and line. 3. Distance between gas bottle and gas BBQ shall be more than three meters. 4. Turn off the gas valve and open windows for ventilation if there is gas leakage. Re-start when repaired. 5. 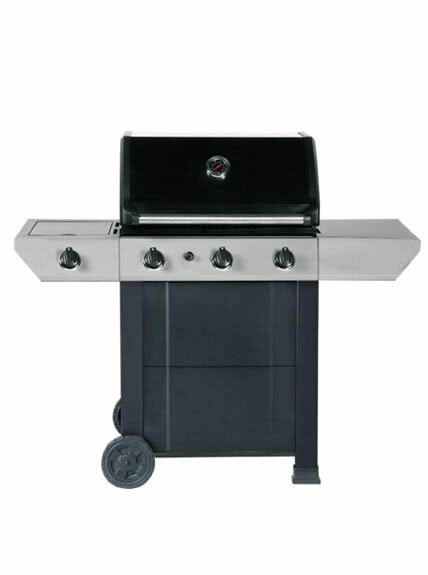 Outdoor four burners BBQ gas grill shall not be operated by those who are weak, sluggish or mental disordered (include children), except they are safe guided. 6. Take measures to prevent it falling down from support shelf, if there is one. 1. Turn off the gas stove to prevent accident when cleaning. 2. 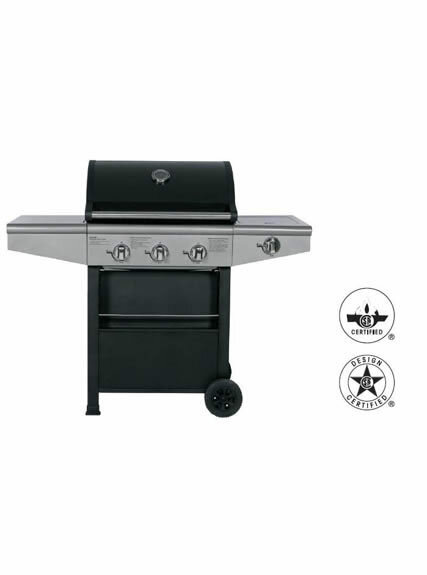 Clean outdoor four burners BBQ gas grill with non-corrosive wet cloth after using it. 3. 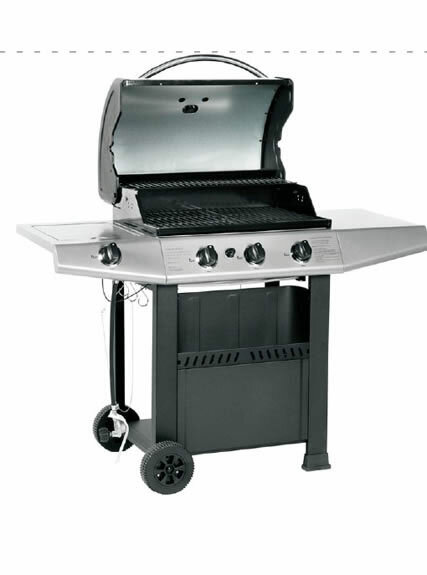 Avoid water spreading to the burner infrared ray generator, which may reduce its working life.